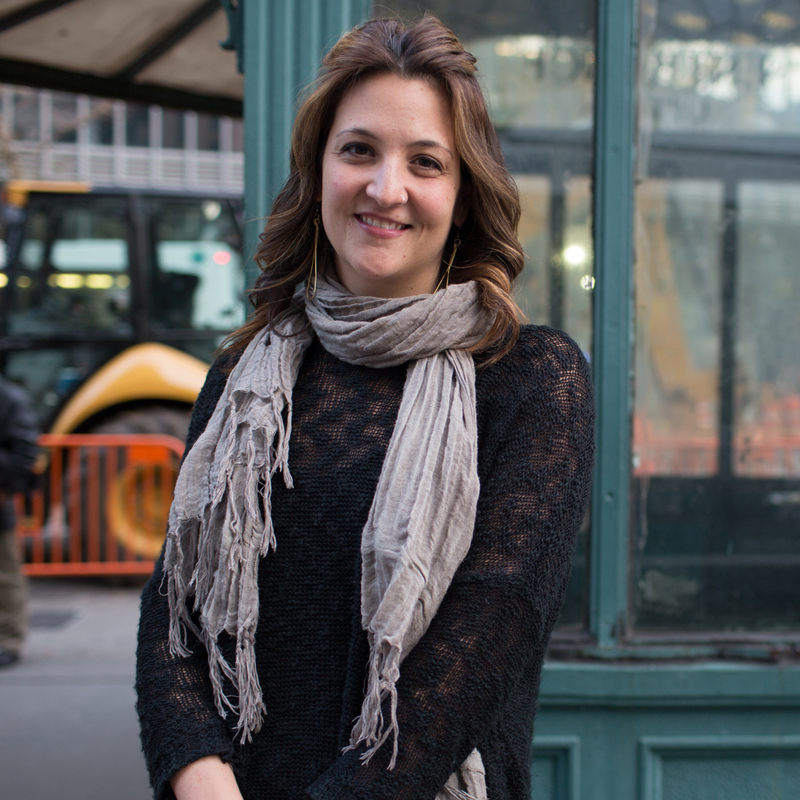 Project for Public Spaces knows well that public markets can play a major role in addressing public health issues, even beyond their ability to provide fresh and affordable food. Throughout our numerous projects, conferences, and collaborative reports, we have seen how markets can also be destinations—public gathering places that give community members the opportunity to strengthen social ties and enhance civic engagement. We also know that diet-related diseases—such as obesity, diabetes, cardiovascular diseases, and respiratory diseases—are a major public health concern, and while they affect people of all ages and socioeconomic classes, they have been shown to disproportionately affect marginalized and disadvantaged populations. For Flint residents, 41% of whom live in poverty, opportunities for healthy eating can be few and far between. The star of this story is the Flint Farmers Market, which moved in June 2014 from its former location along the Flint River to downtown, not far from where it was located until the 1940s. The Flint Farmers Market has always been both a year-round indoor market, open three days a week, with a large number of seasonal vendors in an outdoor shed. PPS worked to help improve the market beginning in 2006, but there were many constraints, since it had clearly outgrown its facility. It was an exciting and challenging opportunity for us to help guide the market’s relocation into the much larger and centrally located former printing building of the Flint Journal. It turned out to be a very good move. A recent study conducted by Richard Sadler at the College of Human Medicine at Michigan State University highlights the impacts that this relocation had on improving access to healthy food in an underserved community with few available options for making nutritious food choices. Based on extensive surveys and analysis of customer demographics and purchasing habits before and after the move (in 2011 and 2015), this research sheds light not only on how to successfully address food access and health issues in low-income communities, but it also speaks to the multiple benefits of proximity and co-located services in bringing new life and reinvestment into post-industrial downtown cores. 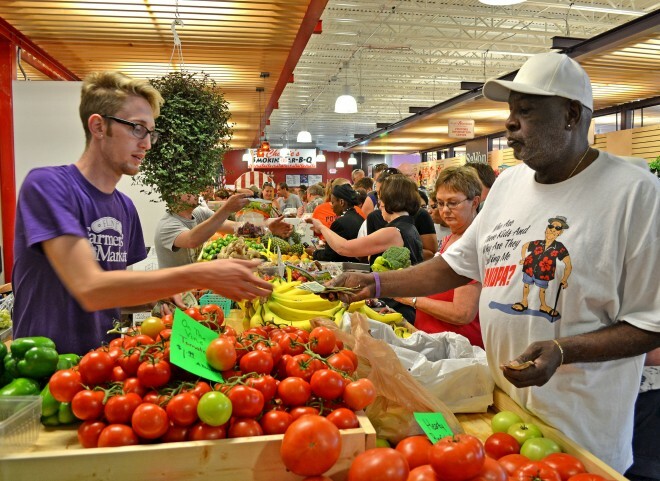 As with any longstanding public market, the patronage and profitability of the Flint Farmers Market has witnessed ebbs and flows throughout its century-long history. In 2002, when the then city-operated Market was on the verge of closing, Uptown Reinvestment Corporation—a nonprofit formed in 1999 to help regenerate downtown Flint—took ownership. The market soon entered a period of rapid growth, and eventually its increased patronage translated into more demand for fresh food than the space allowed, limiting the growth possibilities for individual businesses. Even though the market was a community staple with a well-established customer base (in 2009 it was voted the most loved farmers market in the country), its vendors and management knew that it needed some major capital improvements. So when the Flint Journal moved its printing operations to Bay City, Michigan, in February 2012, URC began exploring the spacious site as a possible new home for the Market. Ultimately, the decision to bring the Market back downtown was part of URC’s $32 million redevelopment project and an integrated strategy to bring more people downtown, provide more space for vendors, and offer more community services. With the new larger site, the market could become a multi-use community destination. Steve Davies, PPS Executive Vice President, was part of the PPS team that facilitated community meetings and studied numerous alternatives for how to effectively take advantage of the new site. “We knew from the outset that the Flint Market should be designed around its public spaces—which were very limited in the old market—and that the market needed to maintain its comfortable scale and ambiance even in an industrial-sized facility,” said Davies. The new building, designed in collaboration with Shannon Easter White of FUNchitecure, allowed for substantial updates and expansion. 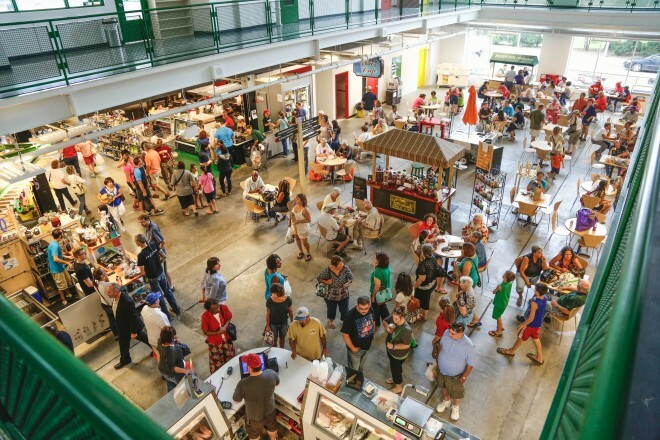 Twice the size of the old market and accommodating twice as many vendors, the facility also had room for even more: a four story atrium used for seating, vendors, and events; a community room; a roof terrace for special events or dining; and a kitchen that hosts cooking classes, food skills and nutrition demonstrations, and a number of other events and educational programming. The building also houses Flint Food Works, a culinary incubator for local businesses. In addition, this past August, the Hurley Medical Center opened a children’s clinic in the 10,300 square foot space on the second floor the Market, connecting health care with fresh food access. This kind of innovative synergy has led to the emergence of a growing “health and wellness district” in downtown Flint, which, according to by Crain’s Detroit Business, has “grown to three city blocks and some $36 million in investment.” Other investments helping to establish this wellness corridor include the newly opened MSU College of Human Medicine, located just steps from the market, and a new elderly care center—the Program of All-Inclusive Care for the Elderly (PACE)—which is located a block away in the former International Institute of Flint building. The increased diversification of the market’s clientele is a big deal. “While the market itself may be a nonprofit, the vendors are not—these are real businesses, and financial sustainability is key,” explains Verel. “The more people, the better…period.” And the proof is in the pudding. 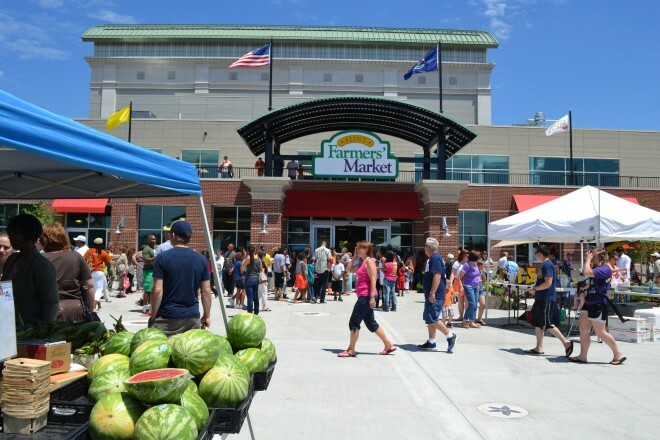 The old market brought in an estimated $4.9 million in 2011, and the total economic impact of the new farmers market has reached nearly $14 million. Only a year and a half after its relocation, the Flint Farmers Market has quickly become a treasured community asset. But you don’t have to take our word for it... In 2015, the American Planning Association announced the market as one six “Great Places in America.” We’re excited to see what’s next for the Market, and for the growing Health and Wellness District that is helping to re-energize downtown Flint. * PPS has partnered with placemakers in more than 200 cities and towns around the world on bottom-up projects that focus on making public markets economically sustainable centers of community life. For more information, contact a member of our core market team, led by Steve Davies, Kelly Verel, and David O'Neil.